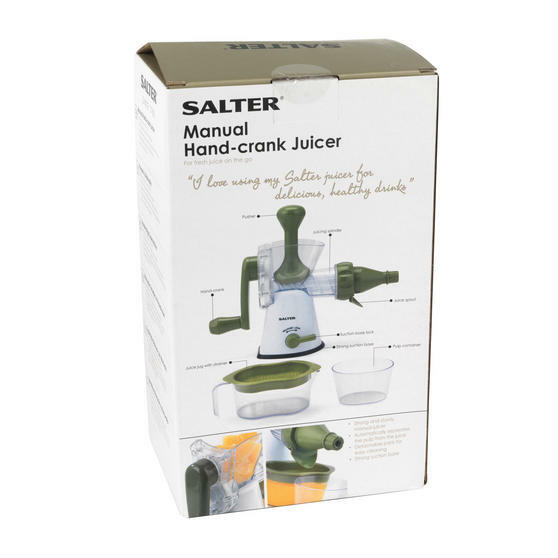 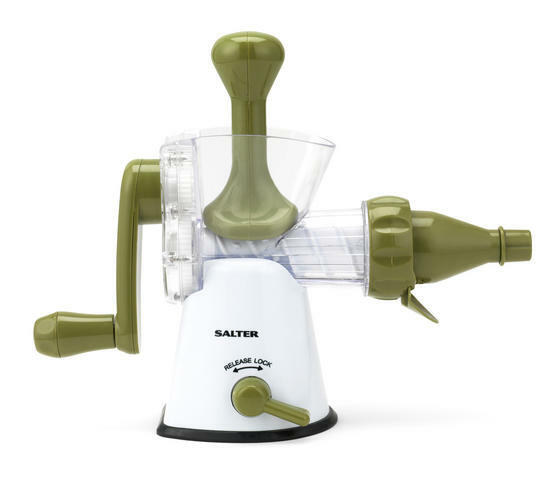 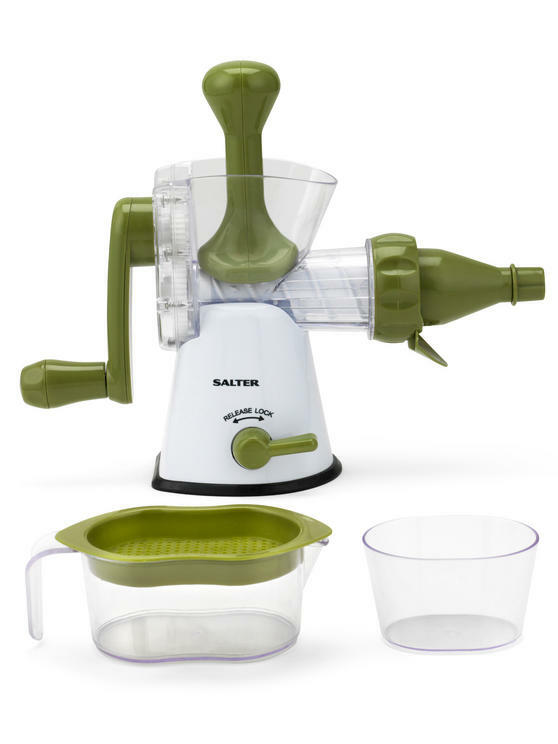 For a great start to your day, use this Salter manual juicer to make delicious juice packed with healthy nutrients and natural flavour. 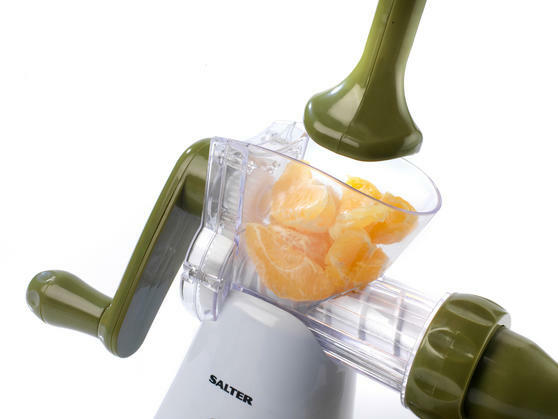 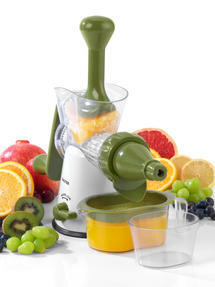 Perfect for juicing oranges, lemons, apples and more, the hand-crank system is brilliantly easy to use, paired with the pusher tool so you can enjoy fresh juice with minimal effort. Measuring 36.8l x 12.6w x 21.6h cm, the juicer separates pulp and dispenses juice through the spout, which you can collect using the included 400 ml jug and serve straight away. 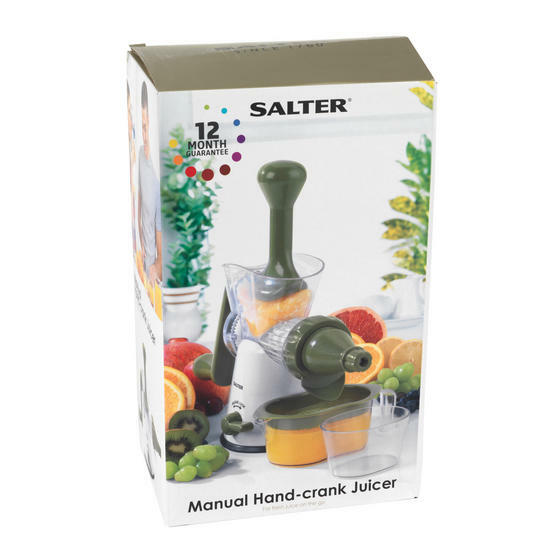 Enjoy delicious juice every day and start your healthier lifestyle with the Salter Manual Juicer, featuring easy hand-crank operation. Place the jug beneath the spout and use the strainer to collect up to 400 ml of beautifully smooth juice, enough to serve two glasses. The juicer has a suction base with a smart lock mechanism, so it will secure to your worktop whilst you effortlessly make juice. 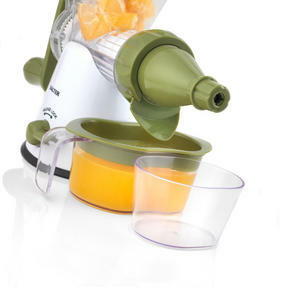 For easy cleaning and convenient storage, it has detachable parts so you can compact and fit into your kitchen drawer between uses.